Not knowing where to begin with cooking leafy green vegetables (namely kale and chards) is one of the most common things I hear. 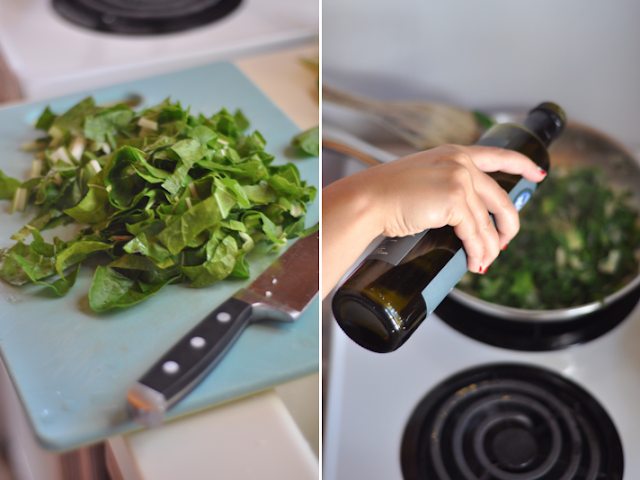 While I put chards and kale in stir fries, soups and salads (kale) I always say, if all else fails, saute! • Saute onions in olive oil on medium heat. • Chop washed swiss chard into thin slices. • Add chard to onions, stir every so often until they have cooked down. • Add salt & pepper. 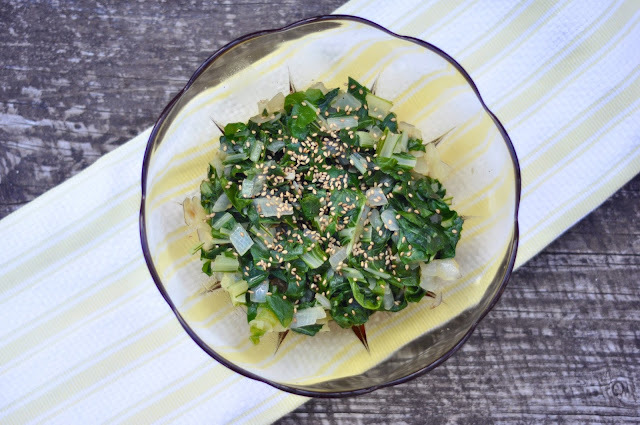 • Put into serving bowl and sprinkle with sesame seeds.